Fine art gourd. Wood burned & hand painted with gold leaf accents. 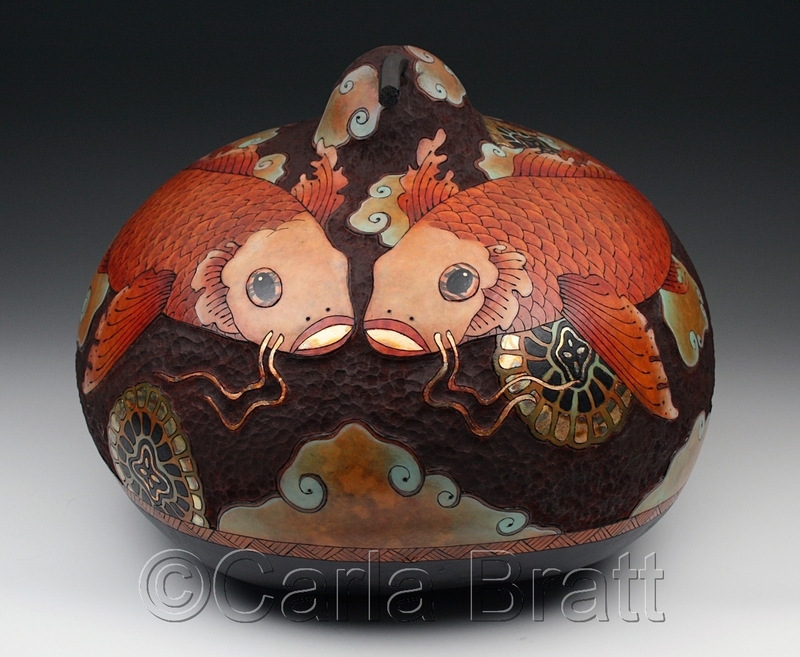 Asian inspired, with a double koi design, on a carved chocolate brown background. Colors ; rust, persimmon, mint green, sepia, browns,& accent black. Large. Polyurethane sealed. *SOLD.